Varieties resistant to pests or diseases are, in most cases, the most economical and environmentally friendly alternatives for coffee growers in their quest for profitable and sustainable agriculture. The FNC´s National Coffee Research Center, Cenicafé, is in charge of this constant task of discovering the best possible crosses and genes to get an optimum Arabica variety resistant to biological threats, while maintaining or improving the high quality standards it produces as well as other agronomic characteristics such as its been size. In a semi perennial crop like coffee, the durability of a resistance to a particular threat may depend on many factors, such as the type of organisms to which the resistance is built, their life cycle and aggressiveness, and the strategy used in breeding new resistant varieties. It is worth reminding that the Coffea arabica species has 44 chromosomes, whereas the diploid Coffea canephora specie only has 22; in the former the genetic variability is reduced, and so is its ability to combat pests and diseases. When the arrival of coffee rust (Hemileia vastatrix) threatened coffee growing in the Americas the need to develop new varieties resistant to this disease became a priority in many countries. 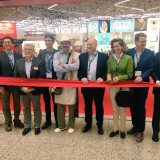 In Colombia Cenicafé had already been working on that for many years before coffee leaf rust came to Colombia in September of 1983. It all began in 1968 by crossing the Caturra variety and the rust resistant Timor Hybrid at Cenicafé, and then they continued a scheme selection for five generations to ensure that the new dwarf variety will not only have rust resistance but also high quality and yield standards. First released in 1982, the variety known as Colombia was also very productive, and throghout the decades it also underwent several improvements. 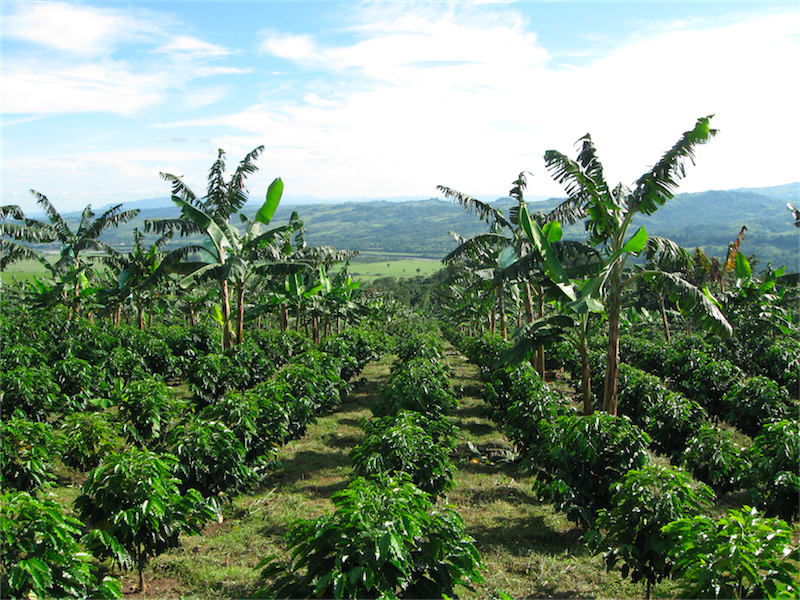 Unlike the monoline Catimor varieties, the Colombia is a composite variety, that is, a result of seeds colected from many progenies at generation F5, a strategy adopted by Dr. Jaime Castillo, then head of the program. Subsequently, and already in the presence of rust, Dr. Germán Moreno, head of the Genetic and Biotechnology Improvement Department at Cenicafé until July 2001, developed another tall resistant variety (obtained by originally crossing Typica, Bourbon and Timor Hybrid). The resulting Tabi variety, after five generations and a lot of work, is also strong and composite.. The release of composed varieties (varieties with a seed mix consisting of several parents with different sources of resistance) was made aiming for durable resistance, considering that coffee is a semi permanent crop and that in the Colombian coffee regions cultivation is often continuous. Cenicafé had gained experience on rust in other countries, where resistant varieties of a single progenitor (monolines) as Catimores in Central America were soon susceptible, so this knowledge allowed him to avoid this vulnerability in the development of the new variety. But just as coffee rust is a threat to Colombia´s coffee, a new health problem is hovering over coffee growers: the Coffee Bean Disease (CBD), caused by the fungus Colletotrichum coffeanum, which so far is only found in Africa and causes severe damage. Control measures based on the use of fungicides are expensive, not always effective and sometimes harmful to the environment, thus affecting profitability. The coffee breeding team in Cenicafé has worked on the development of varieties with resistance to this disease already for some years. 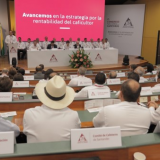 The Castillo® variety and its regional derivatives are the answer given by the Colombian Coffee Growers Federation´s Cenicafé, from the point of view of genetic improvement, to more than 500,000 growers facing old challenges like coffee rust and new ones like CBD. Obtained from a cross between Caturra and Timor Hybrid varieties, the project was headed by and using line selection method in the segregating and subsequent generations for the progenies (F3, F4, F5), Castillo is the result of many years of hard work in search of perdurable resistance to rust and higher productivity, with a proved and preemptive resistance to the new threat of CBD. It also has distinctive quality features, such as higher bean density and size. Its genetic composition is very similar to that of Caturra, allowing for the particular notes and cup profile that connoisseurs have come to expect from different Colombian coffee regions. The Castillo Variety and its regional compounds are also a demonstration that it is possible to reconcile production costs with an environmentally friendly agriculture. 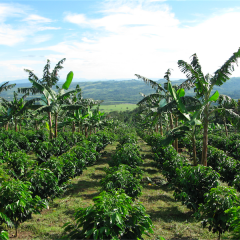 Its seven regional varieties, Castillo Naranjal, Castillo El Tambo, Castillo Santa Bárbara, Castillo El Rosario, Castillo La Trinidad, Castillo Paraguaicito and Castillo Pueblo Bello, are adapted to the main coffee growing areas in the country. Taking its name from researcher Jaime Castillo and released in 2005, this fairly new variety has already proven its high effectiveness in production and the same high quality we’ve all come to expect from Colombian coffee. 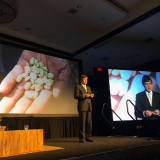 You are invited to learn more about our coffee family and our products, visiting the COLOMBIAN COFFEE INSIGHTS sections on the top of this page. You would like to find on our CCI site?